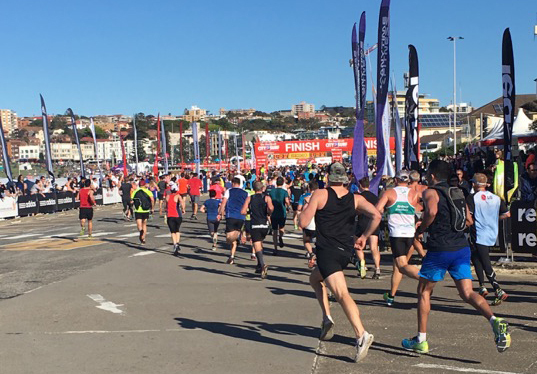 Every year, up to 80,000 keen City2Surfers push themselves to run, jog, walk, or wheel their way through 14 grueling kilometres from the Sydney CBD to beautiful Bondi Beach. The fun run combines strenuous exercise with a good cause, fundraising tens of thousands of dollars for different charities. 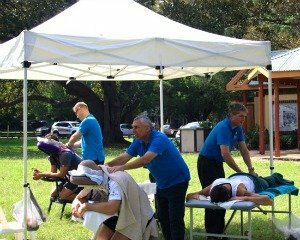 Absolutely Corporate has proudly run massage events at the City2Surf for a number of years, providing relief for runners’ aches and pains after their lengthy journey. 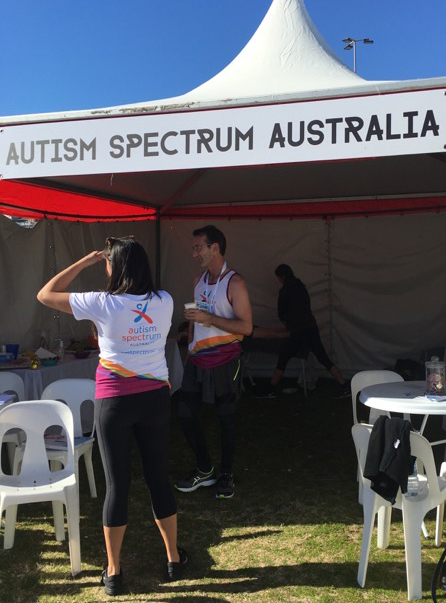 We support Autism Spectrum Australia and have helped their team members loosen up their muscles and speed up recovery by providing our invigorating massages post-race. Event massage not only helps refresh participants, decrease risk of injury but it also adds a great additional aspect of fun to the day. Massage after a sports event improves circulation and prevents the build-up of lactic acid in the muscles, which causes the soreness and pain. That will help decrease the chance of injuries, ease pain and promote healing in sore muscles by reducing inflammation. Our massage therapists tailor massages to each individual, they just need to be told any health concerns or areas that need particular attention after the event. The therapists check for the preferred level of pressure, and start with a lighter-pressured massage and gradually increase pressure from there. The post event massage given after the activity will focus on their quads, glutes, hamstrings, and calves with techniques to enhance circulation and calm and release contracted muscles. The techniques include stroking, kneading, broadening compression with deep but comfortable pressure and also joint stretching. Massage also stimulates the parasympathetic nervous system which will help the runners to feel more recovered and relaxed and leave them with a big smile on top of their athletic achievements. If your company is participating in this year’s City2Surf run and you haven’t organised massages for your team, we are here to help and have massage therapists available for the day. You can contact us on Facebook or via the Contact Us page, to find out more or to organise your own Corporate Event Massage.